FOR owners and occupiers of stratified buildings, their biggest concern is whether the building they own or occupy will continue to be managed properly after the strata titles are issued and the management of the property is handed over to the joint management body or management corporation. Buildings that are properly maintained and managed usually are better sought after and can fetch higher capital appreciation and rental. The maintenance and management of common property in all stratified buildings are governed by three laws the Housing Development (Control and Licensing) Act 1966 (HDA), the Strata Titles Act 1985 (STA) and the Building and Common Property (Maintenance and Management) Act 2007 (BCP). The three Acts are specific laws relating to the maintenance and management of common properties in a strata scheme. In all these three acts, the people who can be appointed to carry out the maintenance and management of the common properties are a qualified person or agent (HDA), agents and servants as it thinks fit (STA) and any person or agent (BCP) . While the three laws do not compel the appointment of valuers to maintain and manage common properties, the proposed amendments to the Valuers, Appraisers and Estate Agents Act 1981 (VAEA) compel all property managers to be valuers. Datuk Teo Chiang Kok says practically all properties in the country are currently not managed by valuers. Building Management Association of Malaysia president Datuk Teo Chiang Kok says practically all properties in the country are currently not managed by valuers. There are tens of thousands of persons engaged by landlords and as managing agents involved in property management. These practitioners collectively have years of experience and have proven track record, expertise and competencies in all aspects of property management, he says in an interview. But their rice bowl may be affected if the proposed bill to amend the VAEA into the Valuers, Appraisers and Estate Agents (Amendment) Bill 2010 create an absolute exclusivity and monopoly for valuers to be the only ones allowed to undertake property management. The liberalisation proposed will result in only valuers becoming the controlling parties. The amendments pertaining to property management are contained in two embedded clauses in the proposed Bill. According to Teo, these amendments seek to usurp the rights of owners and the Commissioner of Buildings (COB), and conflicts with the intend and functions of the joint management boards as provided for in the BCP (Act 663). They also usurp the rights of owners and their management corporations and conflicts with the provisions of the STA (Act 318) that allows for the establishment of management corporations, Teo adds. Teo says the STA and the BCP expressly allow property owners or legally incorporated entities or the developers the rights and responsibility to act as property managers to maintain and manage the properties, and to also appoint managing agents to perform property management and related services. There is no requirement whatsoever in these Acts that these managing agents must necessarily be valuers, nor are there any related references in this regard in the VAEA. The Commissioner of Buildings established under Section 3 of the BCP has already been vested with the necessary powers and authority to oversee and regulate property management. The proposed amendments to Section 21 of the VAEA Act would be in conflict with the BCP and the COB, he explains. Teo points out that the amendments that seek to give valuers the exclusive monopoly to property management and create a closed-shop rent-seeking occupation, are definitely unfair terms of trade which The Consumer Protection Act seeks to prohibit and directly affronts the objectives of The Consumer Protection Act. The amendments are also in conflict with The Competition Act which seek to ensure the economy and business sector are not distorted in favour of monopolies and oligopolies, he adds. Teo explains that the inclusion of property management as a function that can be performed by valuers was added into the Valuers Act by way of an amendment in 1997. The main reason for this introduction was to prevent foreign valuers to practise valuation in Malaysia under the guise as property managers. We feel the valuers' concept of liberalisation is not altruistic as made out to be, but self-serving. Currently only valuers can be partners and shareholders in valuation firms. The liberalisation proposed is to allow non-valuers to own up to 49% of a valuation firm and only valuers can be the controlling partners or shareholders. This liberalisation move is to allow valuation firms to grow faster than organic growth by inviting minority investors in preparation for the onslaught of foreign valuation firms coming into the Malaysian market. It is not addressing the multi-disciplinary and inclusive nature of property management, he adds. Following a meeting between the BMAM members, the Board of Valuers, Appraisers and Estate Agents, Institution of Surveyors Malaysia, and Association of Valuers, Property Managers, Estate Agents and Property Consultants in the Private Sector Malaysia with Deputy Finance Minister Datuk Dr Awang Adek Hussin on Oct 18, all stakeholders involved in property management have agreed to withdraw the proposed amendments pertaining to property management from the Bill and a moratorium imposed on the implementation and enforcement pertaining to property management in the Act. Teo says this is to allow industry practitioners to carry out a holistic review to develop and agree on a structure that is inclusive, fair, equitable and acceptable to all parties. KUALA LUMPUR: Most developers participating at the Star Property Fair 2010 are unfazed with the lower loan-to-value ratio imposed by Bank Negara early this month on buyers taking up a third loan on a new house as they believe the new ruling would not significantly impact their bottomline. The decision to impose the new ruling is to cool down the property market and to curb speculations. 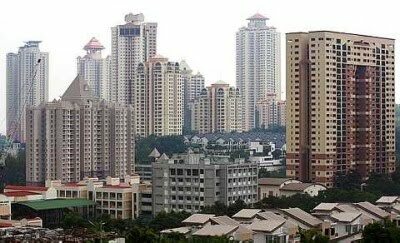 Effective from Nov 3, house buyers who have signed up for two mortgages and intend to apply for a third loan will only be eligible to get up to 70% financing of the value of the house. The Haven Sdn Bhd personal assistant of principal Yeo Kong Meng said: As a medium to high-end developer, we have not found this new ruling to have impacted our sales so far. We also don't think this cap on home financing will have a severe impact on our bottomline going forward. He said many home buyers were already placing at least 20% deposit to book the company's properties, prior to the new ruling. Yeoh also said 60% to 70% of the company's customers were housebuyers, while 30% bought property for investment. Many of our house buyers have high disposable incomes; paying a higher deposit for their new property is not an issue. Event manager K.Kalai said the company's main property project The Haven in Ipoh would comprise of three-condo towers built next to a natural lake and had a total gross development value (GDV) of RM230mil. Tower A is almost fully taken up and is priced at RM338 per sq ft. The price range of a unit starts from RM331,500 onwards, he said, adding that all three towers would be fully built by 2013. Penang-based Ivory Properties Group Bhd project director Murly Manokaran said property sales had not been impacted at all by the new ruling. We actually welcome the new ruling, he said, adding that it would ensure that banks had housebuyers who were less likely to default on their loan payments. Sime Darby Property executive (property division) Rizal Affendy Abdul Latif concurred with the other developers that the new ruling had not impacted sales. We have so far not experience a slow down in sales due to a higher deposit on a third house. Most housebuyers with an investment intention are prepared for a higher deposit, Rizal Affendy said, adding that Sime Darby's strong reputation on delivering quality homes might have helped ensure sales remained strong. We are targeting sales of about RM50mil for this fair but it will include following up with enquiries after the fair, he said, adding that the bulk of the house buyers were likely to be first or second-time home buyers. Plenitude Heights Sdn Bhd executive (sales and marketing) Kevin Ho also concurred that the new ruling should not significantly impact the company's sales. The uptake of Plenitude Heights properties so far has been satisfactory despite the new ruling, he said. Rimbunan Raya Sdn Bhd senior manager Moses Ooi Chong Seng said the company was a niche and high-end developer. Our current project The Enclave, in Perak, is a gated exclusive boutique residential development comprising of 45 bungalows, of which there are only eight units left for sale with price tags ranging from RM1.5mil to RM3mil, Moses said, adding that sales were good despite the new ruling. PROPERTY management practitioners want an open market and level playing field where the profession will be regarded as an open occupation based on competency, expertise and experience and not by mere legislation or purely by qualification. 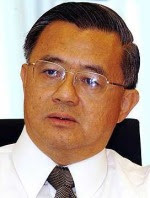 According to Building Management Association of Malaysia (BMAM) president Datuk Teo Chiang Kok, if the proposed Bill to amend the Valuers, Appraisers and Estate Agents Act 1981 (VAEA) into the Valuers, Appraisers and Estate Agents (Amendment) Bill 2010 Act and changes pertaining to property management are to be passed, it will create an absolute exclusivity and monopoly for valuers to be the only ones allowed to undertake property management. Entrepreneurs who are now operating as managing agents will all have to wind up their businesses or become employees of valuers. The two embedded clauses on property management in the proposed Bill will cast the net so wide to include facilities management, building maintenance management, building facilities management, building management and managing agents, he says. Stressing that legislation compelling and restricting property owners to only appoint valuers to manage their properties has never been imposed anywhere in the world, Teo says property management is fundamentally a general management function like marketing management, sales management and operations management. It should be an open occupation based on competency, expertise and experience and not by mere legislation or purely by qualifications. Owners either individually, or via company holdings or collectively as in sub-divided buildings, must have the inherent and indivisible rights and freedom to choose whomever they have confidence in to manage, operate, maintain, preserve and enhance their investments in their properties. Their skills have been honed and recognised by property owners. Many have been head-hunted and gone on to work in neighbouring countries including China, Singapore and Indonesia. Some may migrate and contribute to the country's brain drain, Teo says. He says that although 95% of the 20 clauses in the Bill to amend the Act covers mostly housekeeping matters, the two clauses are worrisome for BMAM members with regard to their future livelihood. BMAM has no problem with 95% of the housekeeping clauses but we are opposed to the two clauses that will make property management the exclusive domain of valuers. An open and competitive environment will ensure best practices and will be the most efficient and best value for property owners and consumers. Valuers must be confident to compete on an equal footing and level playing field. Owners must have the unfettered rights and freedom to choose and engage the best and deserving in a competitive environment, he points out. BMAM is organising a roadshow and forum to raise awareness on the role and importance of property management, starting with Penang today. Registered in November last year, the principal members of the BMAM are Real Estate and Housing Developers Association of Malaysia (Rehda), Institution of Engineers Malaysia, Malaysia Institute of Architects, Malaysia Association for Shopping and High-rise Complex Management, Associated Chinese Chambers of Commerce and Industry Malaysia, Malaysian Institute of Estate Agents, joint management bodies, management corporations and managing agents. Stressing that the association is not against valuers performing in property management, Teo says the members are totally against the exclusivity and monopoly to be created solely for valuers. Our main basis of objection is that property management is a multi-disciplinary occupation and valuers are not the only persons competent and qualified to perform property management. Property management partnerships and entities should be open to all disciplines without limitations that only valuers must be the controlling partners or shareholders. Being a multi-disciplinary management function, he says property management encompasses a wide range of activities from operations, leasing, maintenance, credit control, safety and security to engineering. Teo points out that different types of buildings require different emphasis of property management skills. The demands and skills required for a shopping centre are very different from a medium-cost condominium. No one profession can fulfil all the needs of property management. Allowing free competition will promote greater competency and efficiency in the industry, he says. Medini is a mixed-development comprising three clusters – lifestyle and leisure, cultural and Iskandar financial district in Iskandar Malaysia, Johor. The three clusters are pivotal to the whole development of Nusajaya City. 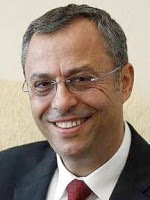 MILLENNIUM Development chairman Oussama Kabbani, whose company is involved in the development of Iskandar Malaysia, says the success of the growth corridor is its proximity to Singapore. Once the bullet train to Singapore becomes a reality, it will be possible to time one's journey to the city state. Even if it is delayed, it will happen. And the same goes for Medini, says Harvard-trained urban planner Oussama who was in Kuala Lumpur recently. Medini is a mixed-development comprising three important clusters namely lifestyle and leisure, cultural and Iskandar financial district in Iskandar Malaysia, Johor. 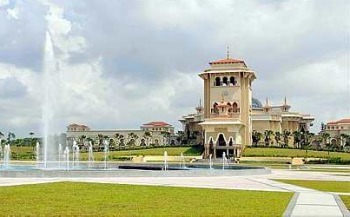 The three clusters are pivotal to the whole development of Nusajaya City. When we first came three years ago, there was no housing, no Kota Iskandar, no shopping centres. In the last three years, the change has been unbelievable. Now there is warehousing and industries. Despite what the world economy has gone through, commitment from investors is still there. The world's appetite for investment is rising. We are in a position to make the best of this recovery, says Oussama. Millennium Development is a member of Saraya Holdings, a Middle Eastern real estate development company. Its expertise is in development management services. The company undertakes work on behalf of developers and investors in real estate. Essentially, they set up the development strategy and undertake all the work done by a developer. The only difference is the investment does not come from Millennium Development but from the investors, which can be the Government or private sector. Oussama says Millennium Development offers clients a portfolio of services which includes business development, urban planning, architecture, finance, marketing, legal and construction management. We are only the catalyst. If you go through the check list, all the right factors are there, the location and the government support, among them. How demand is created from abroad is a question of influence, he says. Many projects sank during the recent economic crisis but Medini grew greater. The fundamentals are there. In a year or two, things will be coming up. LegoLand, the housing community, he said. Oussama said credit goes to the investors and public-private initiatives, adding that where there is population and growth in wealth, there will be increasing aspiration for better social infrastructure and this is where Millennium Development adds value. Southeast Asia is ripe for that. There is demand and big apirations but these aspirations are not limited to this region alone. The same is happening in China, the Middle East and Africa. On the various development projects that are being undertaken around Kuala Lumpur by the Government in various public-private enterprises, Oussama said when one builds, one has to bear in mind that one is building for generations. You have to be careful and creative about many things; the timelessness, a place of different incomes, all of which are timeless factors that make cities what they are. And they must be memorable. These are interesting times. This has been said before, and will be said again at each fall and rise of the economic cycle. But the enigma today is not so much whether it is a fall or a rise in the economy, but in the rebalancing of economies around the world. One may ask, how would that affect us in Malaysia? Lots. Whether it is a 30-something looking for his first home, or a middle-aged person planning for retirement, the flux in which the world economy is in today affects everyone. Let's go into the big decisions, not the details of how much your cup of coffee costs today. A 30-year-old looking to own his first property will wonder whether it is time to buy. The low interest rates are in his favour, but spiralling house high prices are not. In the stock market, there stock prices are trending upwards. To place all of one's money in the bank seems folly at this point. Or is it, really? Let's lay some cards on the table to better gauge the situation. The West is on capital preservation mode, while we in the East, are on growth. The United States and Britain are embarking on printing more money to help lift their economies and reduce unemployment. But in Asia, the property markets of Hong Kong, China, Singapore are so hot that the respective governments are putting measures to chill these markets. Bank Negara did the same recently when it imposed a 70% loan-to-value cap for third and subsequent housing loans. These measures will, in all likelihood, work only partially. > Asia is the place to be in at this point in time. With the United States embarking on a second round of quatitative easing effectively flooding the economy with more dollars this flow of funds are expected to arrive on Asian shores to benefit from Asia's vibrancy and growth. The first round was its various stimulus packages after the fall of Lehman Brothers in late 2008. This means by next year, there may be huge flow of funds into Asian economies, effectively pushing up stocks and properties. We may be seeing the tiny seeds of that exuberance germinating today. It started with the property market in the last quarter of 2009 and now stocks are also trending upwards. Are valuations fair? If it is the beginning of a bull run a huge IF then maybe. > Get your cash ready. You may want to cash in on the uncertainty ahead. So despite the volatility, consider the accelearation, be it both stocks and properties. That does not mean there are no challenges ahead. If anything, with the rebalancing of the economies in the different regions, massive uncertainty exists. In fact, fund managers and bankers are very cautious about what's around the corner and also about next year, despite the strong performances in Asian stocks and the property market today. The various capital controls and measures by governments in this region all point to these uncertainties and challenges ahead. Given these trends, volatility is expected. The same for uncertainties. That does not mean stock valuations are not fair. Or that houses are over-priced. In some locations, it is over-priced. The funny thing is, there is demand for it, particularly for certain types of properties. Don't throw caution to the wind and don't follow the herd instinct. Whatever goes up very fast, also comes down very fast, particularly if prices are pushed up by inflows from the West. They enter a region quickly and exit just as fast. > Consider how much you are ready to lose, not how much you can make. You are tired of renting and there is a real need for that house. First, choose where you want to stay. That's the location. Secondly, what type of residential units will you be comfortable in. If your financial position allows you to get your dream home, then you may want to work towards that. You may have to forgo changing your car. A property is a long term purchase. > Be it a house or stocks, buy on value, and need. Nobody knows how long this state of uncertainty this rebalancing of economies is going to last. Or when the fragile situation in Western economies will take a turn for the worst and affect the exuberance that exists in Asia today. As property professionals and economists generally say: You don't know a bubble exists until it bursts. Until then, it's a bull run. Hang on to the safety bar when you go on the roller coaster. These are interesting times. Assistant news editor Thean Lee Cheng thinks there's something to be made and to be lost in the coming days. MALAYSIA Pacific Corp Bhd (MPC) has signed a memorandum of understanding (MOU) with South Korea's information technology firm LG CNS for a green city project in Iskandar Malaysia. The MOU is to promote and develop a long term cooperation and collaboration for the Lakehill Resort and Aptec "Smart Green City" related projects in Iskandar Malaysia. LG CNS offers IT consulting, system and network integration and outsourcing services. The green city park will enable the services of LG CNS to be used as a strategic planner in providing information and communications technology related services in design construction and maintenance of the Smart Green City project. However, the details and scope of the project will be determined via mutual agreement at the time of the contract which will be approved by the board of directors of MPC and LakeHill Resort Development Sdn Bhd. MPC in a statement to Bursa Malaysia yesterday said the MOU will be effective for six months from the date of the signing and can only be renewed if both parties agreed to do so. HONG KONG: Hong Kong's government on Friday unveiled its latest attempt to cool the red-hot property market, amid public anger at spiralling prices and fears highlighted by the IMF of a real estate bubble. Financial Secretary John Tsang announced a sliding scale of new stamp duties to take effect midnight Friday aimed at restraining what he called "short-term speculative" inflows into the glitzy financial hub's property market. "These are extraordinary measures under exceptional circumstances. Our aim is to curb short-term speculative activities and to reduce the risk of any asset bubble," Tsang told journalists. The densely populated city of seven million is famous for its sky-high residential rents and super-rich tycoons. It notably attracts wealthy buyers from mainland China looking for a relatively safe place to invest with high living standards. But the International Monetary Fund this week urged Hong Kong to rein in soaring prices, amid fears that overheating is spreading from high-end luxury properties to the general market. Under the levies outlined by Tsang, anyone reselling a property within six months of purchase would be subject to a hefty 15 per cent stamp duty. A 10 per cent duty would apply to sales within six-to-12 months and five per cent to sales within 12-24 months. Luxury home values in the former British colony recently topped their pre-1997 Asian financial crisis peak, according to government data released in October. Friday's announcement marks the latest in a series of measures already taken to cool the ever-expanding market. Stamp duty on luxury property was hiked by half a percentage point in April to 4.25 per cent, while a number of government land auctions have been held to increase supply. But prices have crept ever higher, and are up 20 per cent in the past year. The IMF warned in a report on Thursday that, "depending on the amplitude of the upswing, the resulting downturn could prove both protracted and painful". Concerns have been amplified after the Federal Reserve unveiled a massive stimulus package to kick-start the US economy, raising fears that a flood of speculative money could overheat Hong Kong's volatile asset markets. The Hong Kong dollar is tied to the greenback, although the IMF reiterated its support for the city's currency system, calling it a "robust anchor of monetary and financial stability". Earlier this month, the city's biggest realtor, Centaline, recorded the highest commercial property price per square foot in Hong Kong's history. A 79th floor unit in The Centre - a downtown skyscraper owned by Hong Kong's richest man Li Ka-shing - sold for HK$338 million (US$44 million), or about HK$25,580 a square foot. Homes with a price tag of at least HK$20 million have surpassed previous highs for both the number of transactions and total sale proceeds, Centaline also said. Spillover into the lower-end property market, where the vast majority of Hong Kong people live, has seen prices creep ever further beyond the reach of average incomes. In October, Hong Kong's leader announced a halt to automatic residency for wealthy property buyers, in a move that analysts said was aimed squarely at cash-rich investors from mainland China. At a rowdy legislative session that was dogged by about 200 protestors denouncing high property prices, Chief Executive Donald Tsang said: "Housing is currently the greatest concern of our people." SUNWAY Holdings Bhd's associate, Sunway Geotechnics (M) Sdn Bhd, has accepted contracts worth RM14.7 million at Bandar Springhill, Port Dickson, Negeri Sembilan. The first contract from UCSI Education is for piling and pilecap works for the Medical Centre and Faculty of Medicine UCSI University for a block of 12-storey hospital, one block of two-storey M&E complex and one unit of guard house. The second from UCSI Resort includes piling works for the construction of a 17-storey hotel with 319 units, 14-storey student hostel with 390 units, a single-storey restaurant and swimming pool and a three storey car park. The medical university should be completed on March 21 2011 while the hotel is expected to be ready on February 27 2011. ATLAN Holdings Bhd has sold seven pieces of land in Penang measuring 24.7ha to Utara Malaya Realty Sdn Bhd for RM145 million cash. In a statement yesterday, Atlan said its wholly-owned subsidiaries Blossom Time Sdn Bhd and Radiant Ranch Sdn Bhd sold the land as part of its business strategies. "The directors have decided to sell as opposed to continue with its original development plans for the land after taking into consideration the estimated time frame and resources required to develop the land over the next five years given the competition of other developments within the vicinity." The sale will enable the company to realise proceeds of RM145 million and an estimated after-tax gain of disposal of about RM80 million. The proceeds will substantially be utilised for the repayment of bank borrowings and working capital of the Atlan Group which is expected to result in an interest saving of RM8 million an annum. BREM Holdings Bhd’s 75 per cent owned unit, Harmony Property Sdn Bhd, has agreed to buy two parcels of 33.28 acres vacant land from Pembinaan Tegas Megah Sdn Bhd for RM69.5 million.